*Ha* unbelievable! 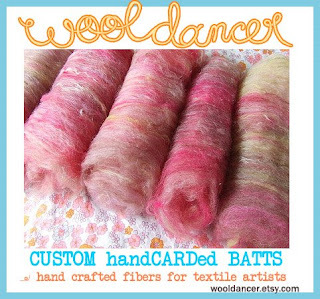 the new Batts were like hotcakes tonight, they were going as soon as i finished listing them! I feel overjoyed at the support of you all, and truly thankful for the confirmation that I must make nice enough fluff! 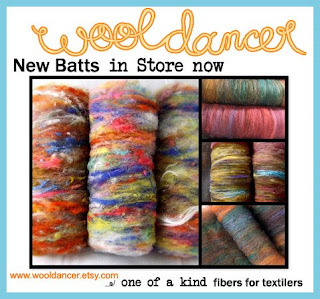 *-* So, now that 8 of the 10 new Batts have been swiped by the hungry batt-munchkins, i am feelin a momentum to get me moving into the Second Round of the Autumn update. Well sadly no pix yet, but I do have the launch of my new Spinnybitz Art Yarn Kits (only two more sleeps hint hint ! 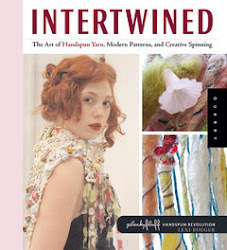 ), some handdyed soy silk & bamboo roving, and a huge destash is coming up too.. loads of fibery goodness still to come. Also, I will periodically be listing my 'Custom Carding service' notices in the store too. I have done this on occasion & have been flooded with requests, so they will be appearing periodically as space in my schedule becomes available.. I don't like to take on more than I can estimate time-wise. Custom Carding is a great option if you have a special project in mind and require certain colours, fibers or textures. I handcard to your request, Tame, Wild or inbetween! One of my favourite parts of running a fiber business is that I get to meet & work with really wonderful people - textile people have to be the warmest hearts on earth *-" I love to collaborate with you to make your fibers dreams come true.